This list is a challenging one. They all are tough to compile, but choosing your favorites within the city you live in, especially when that city is New York City, may be the hardest of them all. Many would say this bustling, frenetic, creative, character building, passionate island is the keeper of some of the best food in the world. But within that, what is the best of the best? Where would you take a visitor when they only have a couple of days to spare and you want them to go back home thinking wow, the food in that city was fantastic. I am not an advocate of sticking to fancy and higher end only, or attending only those locales which are considered “most liked” to a greater audience (read: ranked high on Yelp or TripAdvisor). I want a combination of atmospheres, cuisines, price points and areas, always. Some of the following might have a Michelin star. Others might have sand covering the floor or be in a more obscure area. Some have only been opened for a year, another will have been around for as long as I can remember. No matter the story, to me these right here are the greatest that NYC has to offer. On the scene since 1997, Cafe Habana is a casual yet vibrant Cuban restaurant on a busy corner of Nolita. Always crowded, Habana serves things like cotija cheese, chili powder and lime covered corn, battered catfish tacos and roast pork sandwiches. In my opinion posting up at the counter is the most fun. Grab a Michelada or a margarita and hit it for brunch or for dinner, both are great options. I’ve never been the biggest ramen lover. I don’t know if it’s my distaste for the colder months in general that stopped me from ever getting deeply involved in a food many are quite passionate for, but it takes a lot for me to really react. Momofuku Noodle was the first Momofuku to open back in 2004, and 14 years later it’s still going strong. The menu here is not surprisingly noodle focused, but there are also a host of other dishes that have strong supporting roles. The infamous pork, shrimp and hoisin doused shiitake buns are warm and packed tight with flavor and the spicy cucumbers with scallion and almond slivers are as good as you’ll get. Cold or not outside, this is a restaurant I want to be a repeat visitor at in all seasons of the year. This is somewhere that I go back to over and over again, which says a whole lot when you live in a city literally covered in great picks. Dimly lit, divided into a bunch different small rooms spread throughout different levels within the restaurant, Supper is an always consistent, comfortable and fun experience. The burrata on top of tomatoes and basil dish is massive and an absolute must order. The spaghetti pomodoro e basilico covered with a heap of stracciatella and the spaghetti limone are total standouts, too. Basically you can’t really go wrong with what you eat, but you should definitely make it a point to go. Every city needs a roster of solid, casual, easy to get into restaurants. New York has a bunch, and for me, my chosen go to is often Jeffrey’s. The food is not going to change your life, but it’s dependable and tastes good, too. You can keep things healthy with a tuna steak salad or veer off of your diet and add a side of the jalapeno and honey butter cornbread if you prefer. Bloody Mary brunches at Jeffrey’s are always a good time, too. I’ve gone to the West Village’s L’Artusi with a large group when my best friend from Australia was in town. I went here with my family for my 34th birthday. I took a coworker here for our holiday dinner. L’Artusi is truly the perfect for all occasions spot, ready for you no matter what. My go to order always starts with a crudo and the ricotta salata, chilis and fried egg on grilled asparagus and is followed up with their famous spaghetti with olive oil, breadcrumbs, garlic and chili. Roberta’s used to be the hottest spot in town (or in Brooklyn). While its definitely settled down in terms of hype, and maybe even slightly on quality, it does continue to remain one of my favorites. I’ve taken so many visitors from literally all over the world here over the years and it never ever disappoints. The layout is spacious and fun and has a ton of energy to it; in the summer you can laze around at the picnic tables out back with drinks and in the winter they convert the same space into what feels like a Swiss ski chalet. 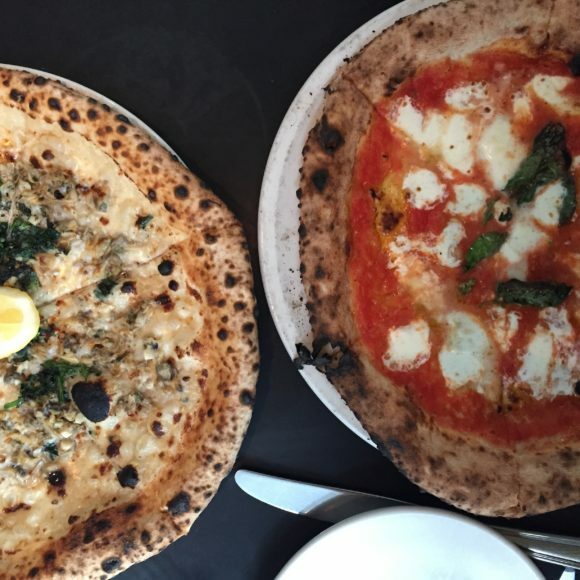 The stracciatella with grilled bread is a must to start, the garden section of the menu is packed with things like grilled sweet potato with buttermilk and calabrian chili, and the pizzas, given names like Beastmaster and Lil’ Stinker, are doughy and delicious. Frankies 457, in Carroll Gardens, Brooklyn, is the definition of a charming neighborhood joint. It is also a place that you should travel to and experience even if you don’t live anywhere near it. Opened in 2004, this, like Marlow & Sons in Williamsburg, was one of the first of its kind way back when. 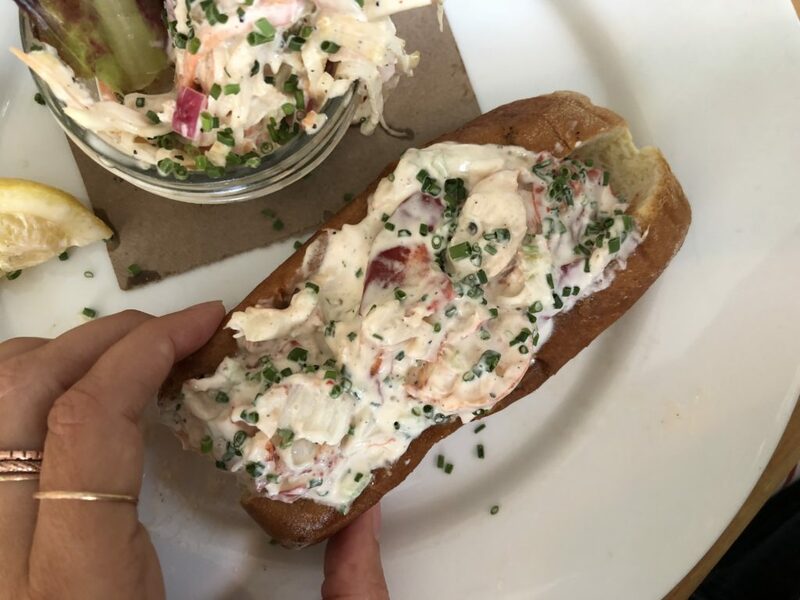 Now, the owners, better known as “The Franks” are known all over the world, often collaborating with different chefs or just doing what they do best right here in NYC. Frankies, if you couldn’t guess is Italian, and the menu is sizable. There are different cheese, cured meat, and crostini options, meatballs, several simple salads, and a homemade cavatelli with sausage and brown sage butter that is the star of every meal. Locanda Verde is one of those New York City establishments that somehow looks exactly like it sounds. 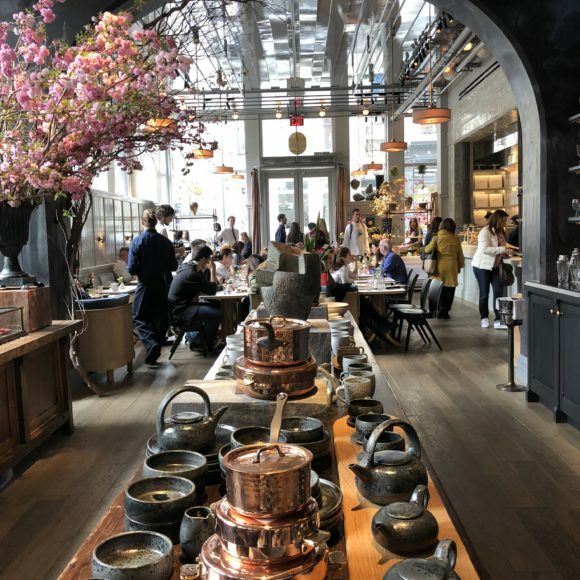 Very spacious, dark furnishings, high ceilings, and stocked with a prominently displayed liquor shelf, it is a great looking restaurant located in the heart of Tribeca. The whipped ricotta appetizer is pretty much one of the best things you’ll ever eat and the homemade pastas are knockout. 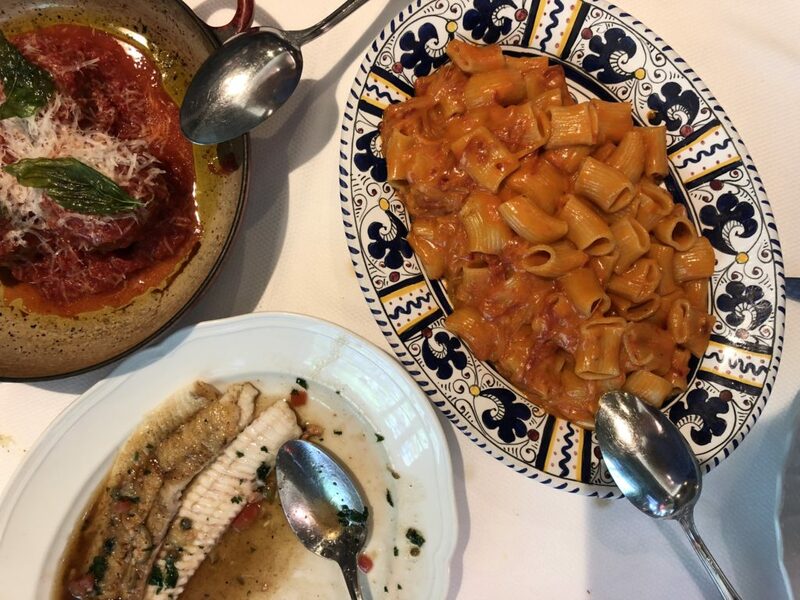 Locanda is also good for any sort of occasion – dinner with parents, dinner with friends, brunches, client lunches and on. It never fails. The Brooklyn outpost of Mile End is a favorite local go to of mine. I love posting up at their six person counter midday on a Saturday, watching the chefs flip eggs and hashbrowns on the grill, and reading a good book or that month’s Travel and Leisure. The small space is run by a team that stems from Montreal, and Canadian bagels are present on the menu. Mile End is so simple, but that’s part of what makes it so special. A little space working a big operation with a whole lot of heart. I will always have a place in my heart for Mary’s Fish Camp. Located on one of the most beautiful corners in all of New York City, Mary’s makes me smile. Laid back, nautical feeling and fisherman vibe embodying, Mary’s feels unique in a city that has a lot to offer. 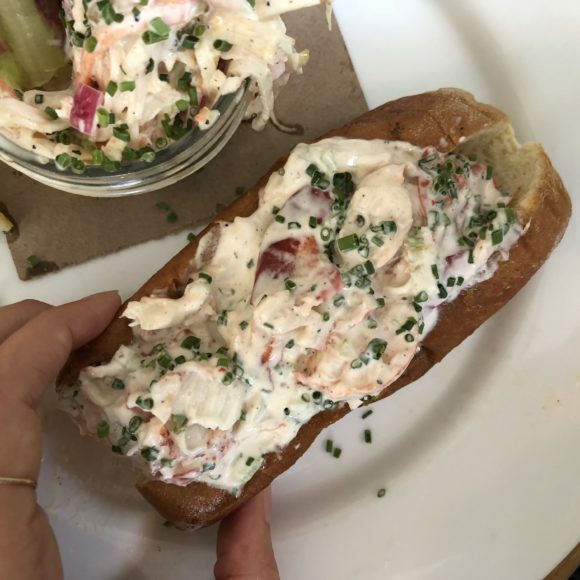 Though multiple dishes like the grilled shrimp burger with lime aioli and daikon slaw or the fish tacos with purple cabbage, radish and black beans are well done and worth trying, the infamous lobster roll is hard to stay away from. It’s mayonnaise-y, chunky, messy, pricey, and worth it. 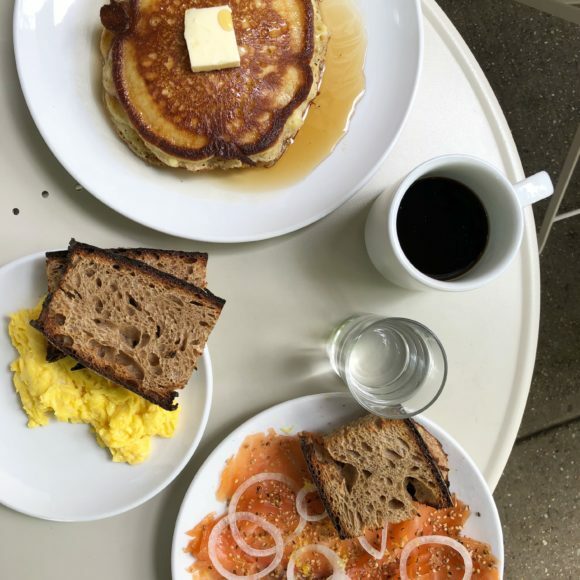 Russ and Daughters Cafe on Orchard Street in the Lower East Side is the perfect example of New York City institution graduated to a sit down outpost capitalizing on what R&D has always done best. 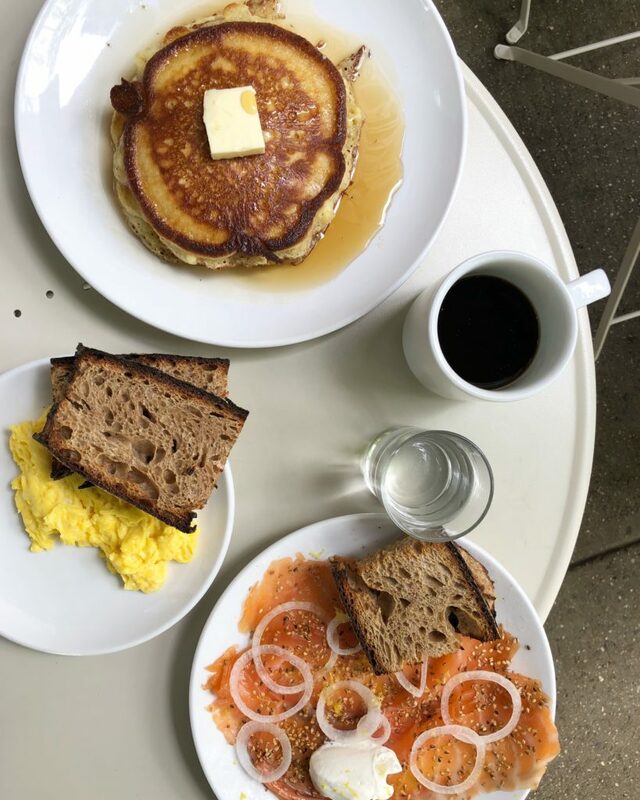 With smoked fishes at the forefront, the cafe works well for a solo breakfast or a dinner with visiting friends from out of town. Test out a fish and egg board or two, grab a potato latke with wild salmon roe and creme fraiche, and pretend you’re back at grandma’s house. 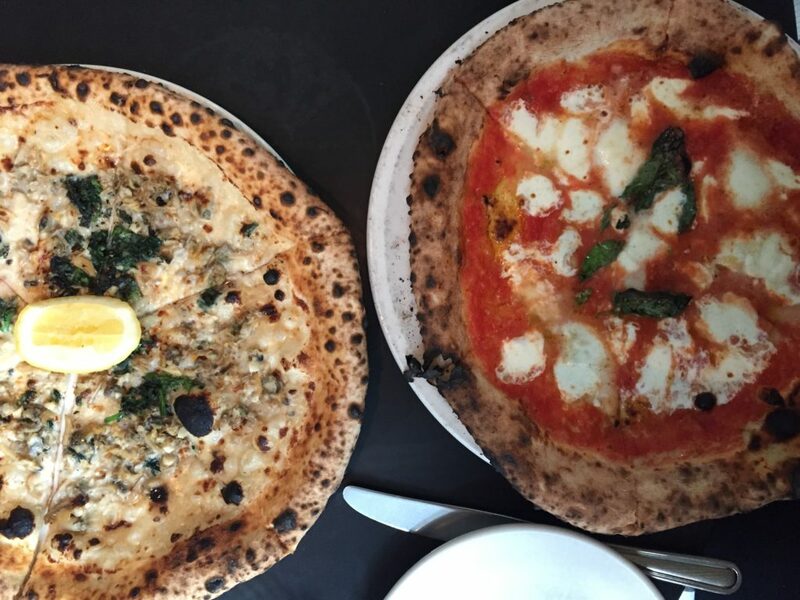 There is a lot of good pizza in New York City. There are tons of top five lists, all written with their own emphatic arguments. Lucali is my personal favorite. There is no menu here- you get either a plain pizza with a choice of toppings like garlic, basil or grilled eggplant, or a calzone. Nothing else is offered, and nothing else is needed. Carbone will make you feel like you’ve travelled back in time, and simultaneously stuff you to the point of no return. The third establishment from the Carbone Torrisi powerhouse is epic. Going here pretty much guarantees high energy and an extremely entertaining time, and that coupled with outstanding food make for the ultimate combination. The meatballs, veal for two, spicy vodka rigatoni and caesar salad are what it’s most known for. The mozzarella and prosciutto, the sea bass and the carrot cake are stand out as well. Go there and go hard. Misi is the restaurant in 2018 that made the largest impression on me. The unofficial tagline here is “keep it simple” which is exactly what it does, to an extent. To me the concept of simplicity came through in the structure of the menu, which consists of 10 vegetables and 10 pastas. What was not simple however was the caliber of food- every single thing I tasted quite ‘simply’ blew my mind. The charred marinated peppers, marjoram, whipped ricotta crostini was jaw dropping and the whole roasted eggplant with calabrian chilie, lemon and olive oil made my eyes tear. 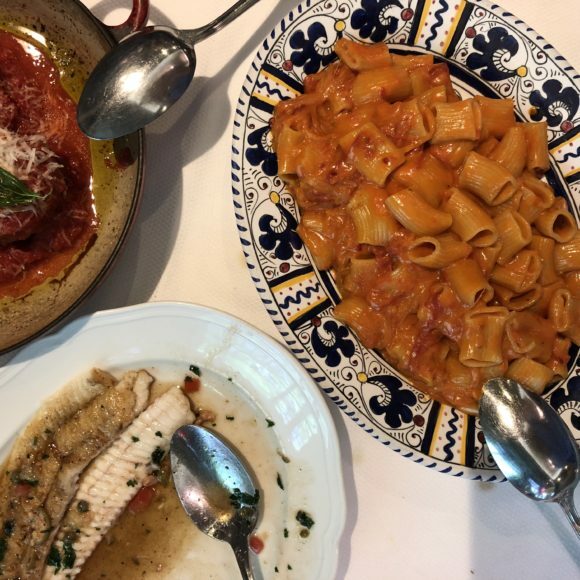 Lilia delivers in a huge way too, churning out even more pasta, more veggies, and adding meat and fish in the form of things like grilled scallops, walnuts and yoghurt and fettuccine with spicy lamb sausage and tomato passato. Make sure both of Missy Robbin’s killer restaurants are on your to-go-to list. I found La Mercerie Cafe to be incredibly impressive. 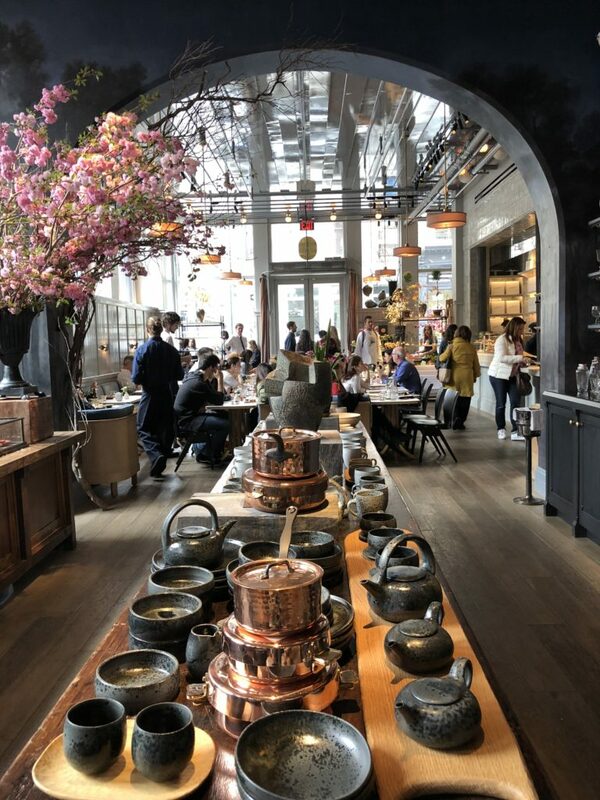 I’m not sure I was expecting the caliber of food to be quite so outstanding in this half high-end homestore half French cafe, but spending an afternoon there was a truly lovely experience. The gigantic buckwheat crepe stuffed with aged comte cheese and a sunny side up egg was my personal menu favorite. There aren’t an abundance of Manhattan based restaurants that have towering ceilings, sweeping brightly colored spaces (yellow comes through here in the most welcoming of ways) and food that shines brilliantly and consistently. Upland has been around for about five years now, and is one of these places. Its popularity, and quality of its to die for cacio y pepe, do not seem to be slowing down either. Pasquale Jones is located on what, in my opinion, is another one of the best corners in all of Manhattan. Smack in the center of charming Nolita, the second restaurant from the team behind Charlie Bird has a central focus on its wine, with the wood burning stove coming in a quick runner up. The clam pie is a steady crowd favorite, and the warm braised leeks with toasted walnut and parmigiano reggiano as well as the pumpkin cappellacci pasta with chestnut, sage and brown butter are my particular highlights. I’m about to make a huge statement, and it is one that I have stood by firmly for years now. 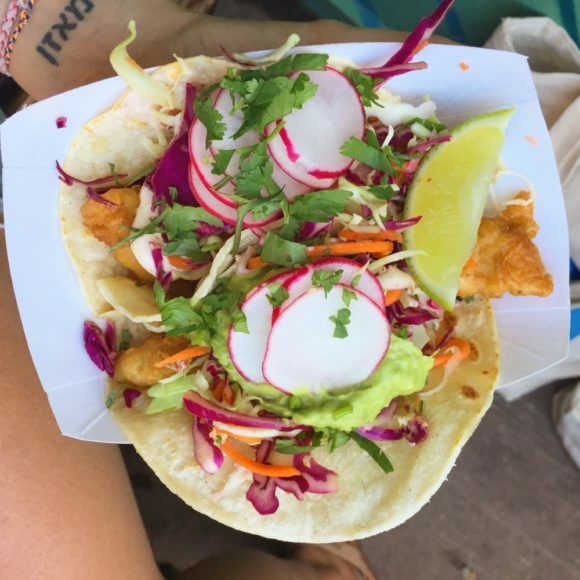 Rockaway Taco, which is essentially a large open air beach bar a couple of blocks back from the sand itself, is home to the single best fish taco in greater New York City. I know that is bold, but for me, and I know for many, it is true. 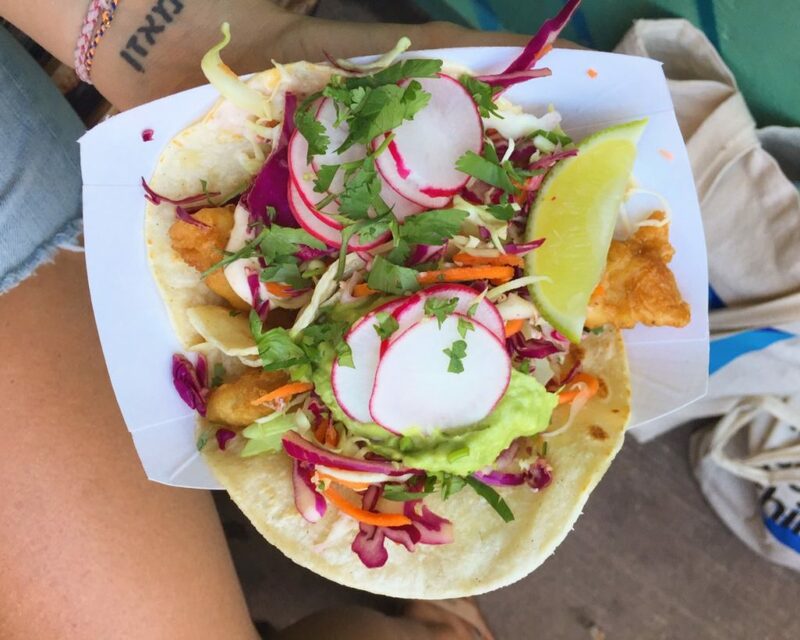 Everything that I love about a taco exists here on the outskirts of Queens in Far Rockaway- jumbo lightly fried portions of the fish itself, topped with the perfect mix of cabbage, radishes, spicy aioli sauce and guacamole to compliment. Chez Ma Tante is the perfect combination of comfortable neighborhood gem meets high quality cooking, a duo I always love. The dinner menu takes on the vibe of gastropub, offering dishes ranging from steak tartare with potato chips, to kohlrabi and apple salad, to Kedgeree (curried rice, poached cod and celery salad). The brunch menu feels a little more like a European combo platter with items like tortilla espanola and quiche with english cheddar. Honing both indoor and outdoor patio seating, Chez Ma Tante is great any time of the year. I have no idea why it took me so long to make it to Diner. This place is light hearted and unique and serving up some excellent food in a space that yes, feels like a diner. 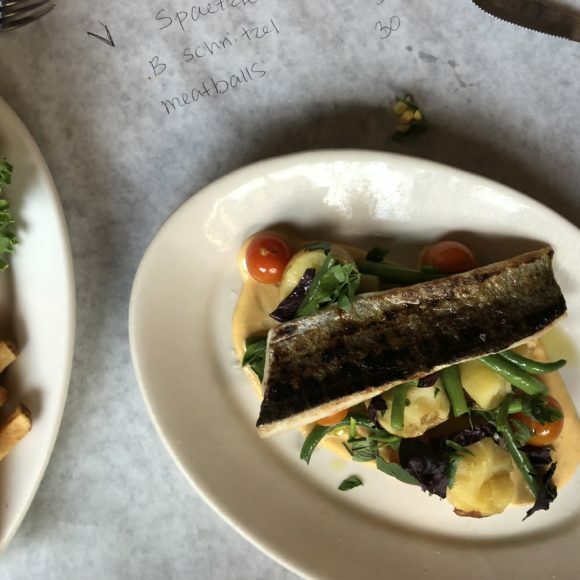 Menus are scribbled out live once you sit down, the waitstaff taking a seat beside you to handwrite the day’s options on the paper that covers your table. 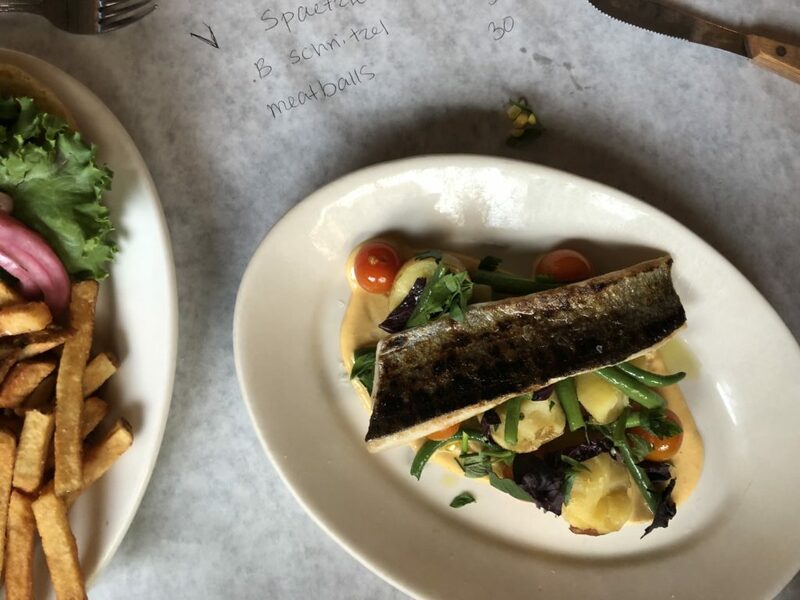 The menu is always changing, but tends to consist of two to three starters, a burger that they’re extremely well known for, and usually a fish or two to choose from. Rule #1, come here with a crew. Rule #2, ideally have a corporate card or two with you. Rule #3, order a ton of food. 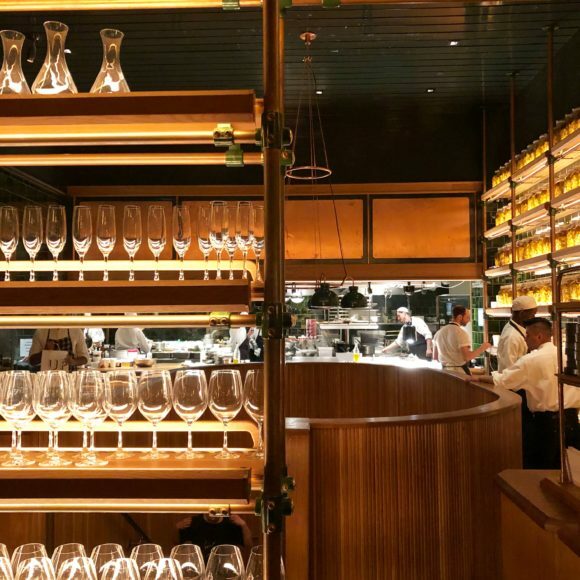 Getting to taste a fair share of the menu at the sleek yet buzzing Cosme is part of the fun, and in my opinion the best way to get the full experience out of dining here. 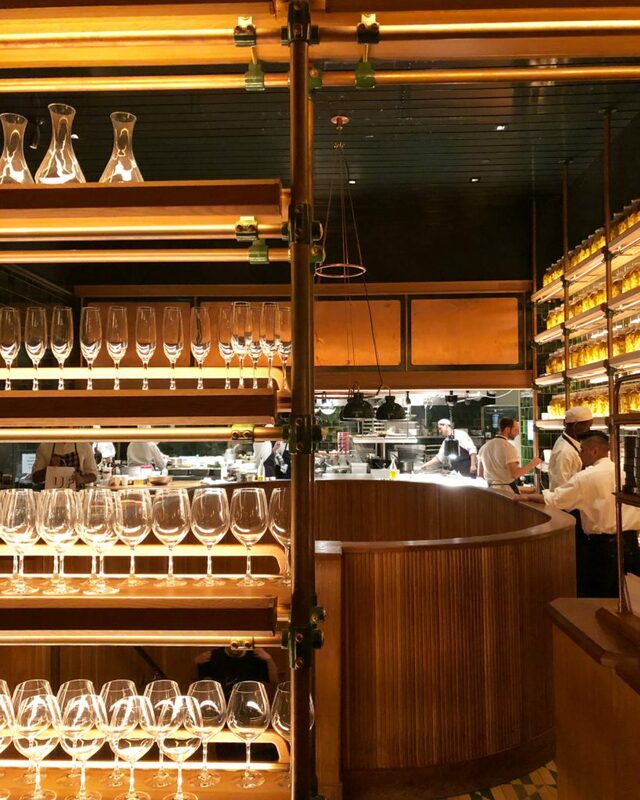 Launched by the same owners as famed Pujol in Mexico City, Cosme combines its vibrant Mexican roots with localized Upstate New York touches and ingredients. Though very different than Pujol, Cosme has equally made its mark in the food world, coming in at number 25 on The World’s 50 Best Restaurants 2018 list (Pujol sits currently at number 13). 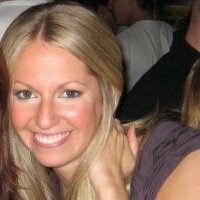 There are now several different versions of the Emily restaurant group, owned by Emily Hyland and her husband Matt. There are two in Manhattan, in the East and West Village, and two in Brooklyn, in Williamsburg and Clinton Hill, the ladder being the original. All outposts come with variations of Detroit style square pizzas and then the more traditional, but very noteworthy, round pies. Every time I step foot in Estela I get the feeling that something pretty special is happening there. There is a lightness about it that is met with a polished sense at the very same time, making you feel like you’re on the verge of having a really memorable evening. The menu is meant to be shared, and they advise on choosing 5-7 dishes depending on their sizes. Highlights are the raw scallops with peanut and chili, the burrata and salsa verde on charred bread, and the ricotta dumplings with mushrooms and pecorino sardo. This meal will not be cheap, so while worth it, do keep that in mind. Marlow and Sons was one of the first restaurants to make a real mark on the dining scene in the then not as well known part of Brooklyn called Williamsburg. 15 years later, with this neighborhood suddenly becoming a major part of mainstream New York City, it is alive and kicking, keeping with its down to earth feel and delivering on a small, but well executed menu.